WordPress Weekly Photo Challenge..Two Subjects. This week’s weekly photo challenge is to take a photo with two subjects. I couldn’t resist as someone stuck their big fat head in the way, giving me two subjects. If you would like to participate in the WordPress Weekly Photo Challenge follow this link. Interesting. At first, I thought it was an elephant and a fish. Seems like they could be having a conversation. Thanks, I have a good dozen photos of that darn goose, he kept following me! At first glance it looked like they were kissing. Cute photo! 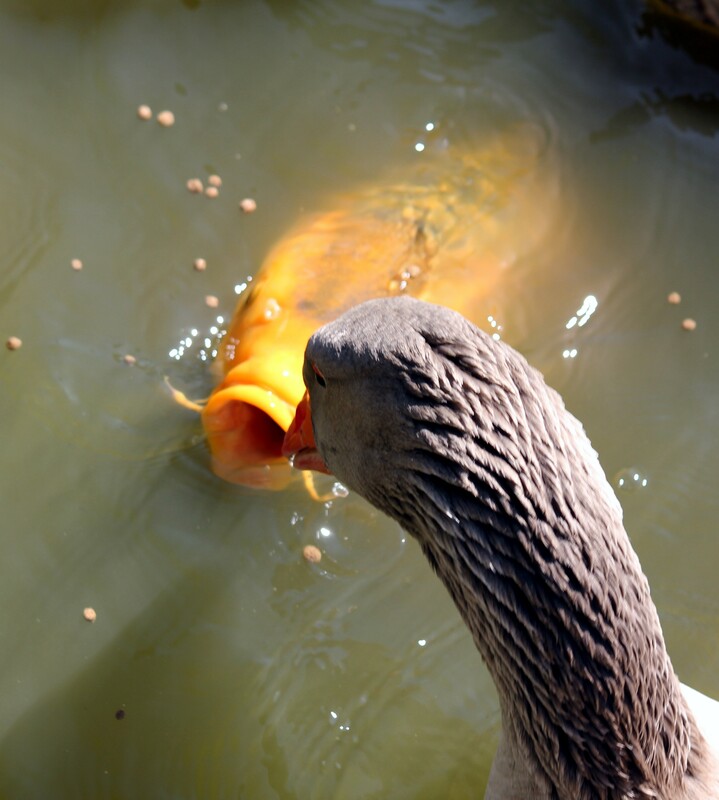 It looks like the goose is going to feed the fish. Cool photo. You always seem to be in the right place at the right time and with a camera!! I don’t know how you do it. Good luck. Great interpretation of this week’s challenge! This picture made me laugh! Thanks for sharing!